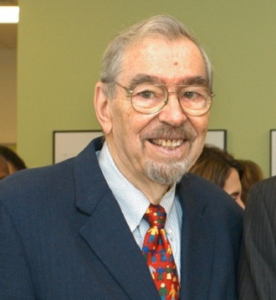 EdVestors has become the driving force behind multiple education reform initiatives to level the playing field of opportunity and achievement for Boston’s students, thanks in large part to the vision and efforts of our late co-founder, Philip H. Gordon. Inspired by Phil’s ethic of service and his commitment to excellence and equity in education, EdVestors established the Gordon Legacy Fund in 2014, with the help of Phil’s family, friends and colleagues. 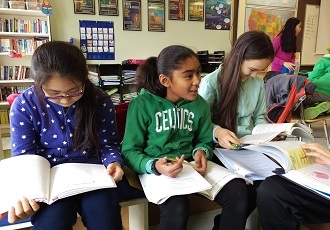 The Fund enables EdVestors to present the $50,000 Gordon Legacy Award to a promising idea at the annual Urban Education Investment Showcase, one of Phil’s principal innovations in the founding of EdVestors and a vital resource for urban school improvement in Boston. EdVestors is honored to pay tribute to our co-founder, Philip H. Gordon, with the dedication of the Gordon Collaborative Space. In this new space, we will continue to implement Phil’s founding vision for equitable, excellent and effective education for all Boston children through our collaborative approach, and honor all who generously contributed to the Gordon Legacy Fund.